Having just returned from winter activities such as cross-country skiing and hiking in snowy terrain, I am committed to observing my footsteps on the mat for the rest of this month. The trek that is February, between the New Year and Spring, is a tough one. Mentally and physically, February can be a struggle for everyone. So what if we place our focus on our feet in our yoga practice? Can we select an easier trail towards Spring? Try it out. SKIS. Imagine putting skis on. With these skis on your feet, take longer strides in your standing postures, glide the knees to bend over the ankles and lengthen the thighs, and reach the lifted leg long behind you in Downward Dog split or Virabhadrasana III (Warrior III). 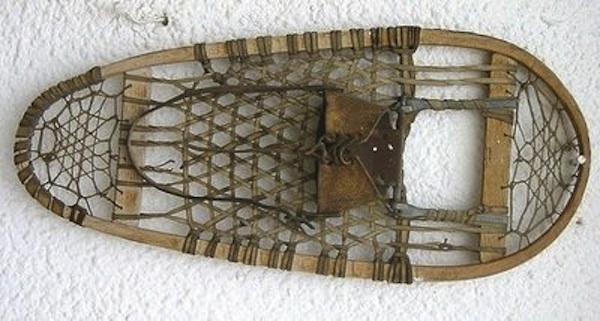 SNOWSHOES. Make big footprints in your standing postures to stabilize, sink down into your Utkatasana (Chair), and spread the roots of your toes and heels in Vrksasana (Tree) to elongate through the spine. TRACTION SOLES. Challenging balances can be made easier by planting down through the feet, and pushing a supporting foot down in Anjaneyasana (Crescent Moon) or Trikonasana (Triangle) can reinforce the hip joint(s). You could even imagine traction towards the ceiling in inversions like Adho Mukha Vrksasana (Handstand). Whatever your journey through February brings, you can be certain of two things: your mat practice can teach you how to choose the appropriate footwear to weather any conditions life might bring off the mat, and Spring IS coming…no matter what!